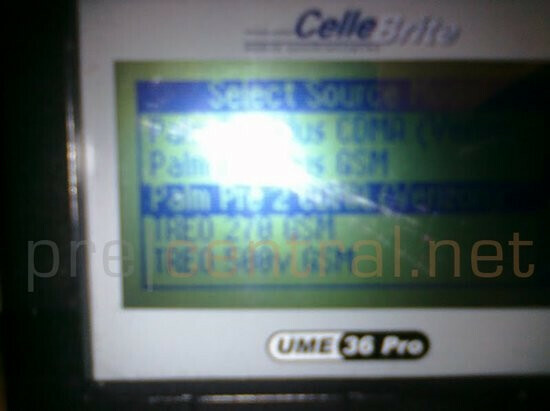 Palm Pre 2 is listed in Verizon's CelleBrite system; possible arrival? Although it’s questionable at this point whether or not we’ll ever see the Palm Pre 2 splash on our side of the world, there might be a slim hint of hope left for the latest webOS powered smartphone. If you’ve ever had to transfer content on your phone, such as photos and your address book, then you’re probably aware of the nifty gadget that some stores use to accomplish that once considered tedious process. One person managed to take a snap shot of Verizon’s CelleBrite units which has the Palm Pre 2 listed, but don’t start thinking too far ahead at this point. Granted that some people out there would love to see the handset come to market in the US, its presence in Verizon’s CelleBrite system doesn’t necessarily mean that the handset is indeed coming. Specifically, various devices not sold or offered by Big Red are listed in there as well to help their employees transfer content. But then again, there is always that slim possibility that its presence alone might signify a potential release. We can only hope at this point. Palm Pre 2 listed on Verizon's CelleBrite machine. Just because it's on Verizon’s CelleBrite units doesn't mean they will have. All sorts of companies use CelleBrite. There are tons of none CDMA phones on the CelleBrite I've used. honestly who cares its a palm they have what 2 loyal customers worldwide. the Storm 3 has been in the cellbrite for over 6 months. This means nothing. 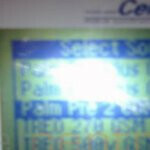 The palm Pre 2 was on the rebat form untill this month get a january rebate form. its coming sometime just dont know when. I use the pre and honestly the OS is the best I've used if they had better apps and hardware I think webOs could have been what android was. It's to bad Palm wasn't bigger or thought out of the box more. No PA...the cellebrite machine has most models to accommodate those switching from other carriers. Doesn't mean the phone is coming to that network. Ya'll haven't learned that by now...having your ear to the mobile world? Just because they've updated the processor to 1Ghz and put WebOS 2.x on it doesn't really make it up-to-date. They need to increase the screen size and resolution, increase the camera resolution, and do a few other updates hardware wise. I'm sure that some people will buy this, but not very many.